POCAHONTAS — For one weekend a year, Heritage Days brings people from the Pocahontas area back together — even those who have moved away, according to Carmella Schultes, director of the Pocahontas Chamber of Commerce. 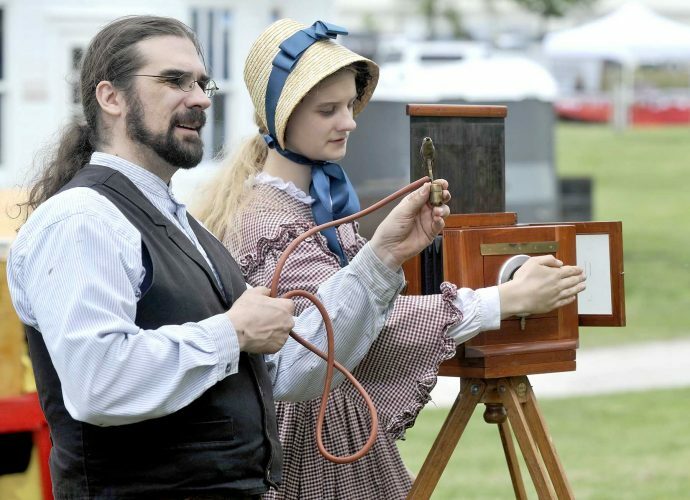 Heritage Days will be held Friday, Saturday, and Sunday. A hog will be roasted on the city’s main street, an old tradition, Schultes said. The hog won’t be the only thing attendees can snack on. “We will have a lemonade stand and food truck all day out at Elbert Park where we will have ball tournaments going on,” Schultes said. Fireworks will also be held Friday night along with the street dance featuring Casey Muessignmann. Muessignmann is a country artist from Spencer. “We think he will be a pretty big draw,” Schultes said. Saturday will feature more than 30 activities. Pokyrock scavenger hunt is a new activity. Another new wrinkle this year is the addition of the Chalk Walk. Each participant will be given one square of cement on the sidewalk to create their piece. The winner will get a prize. Judging is at 4 p.m. The cement squares to be decorated will be located on the south side of the Pocahontas County Courthouse. Attendees are encouraged to purchase a $5 Heritage Days button. About 600 buttons have been ordered, she said. Heritage Days will conclude on Sunday with the annual fly-in/drive-in Chris Cakes breakfast at the airport. Helicopter and ambulance tours will also be offered there. At 11 a.m. the Vangard Aerobatic Squadron will put on an air show. She said Heritage Days has more activities this year than in previous years. For additional information, call 712-358-1621 or visit pocahontaschamber.com. 4 p.m. to 8:30 p.m.
• Register by calling Jerry at 712-358-1404, judging is at 4 p.m.
• Visit the Chamber table under the tent at Elbert Park from 10 a.m. to 5 p.m.